This bright pasta dish is made with just 5 ingredients, you can have this fresh and filling dinner on the table in under 30 minutes. I created this meal by pulling together fridge and pantry ingredients that I already had on hand and then seasoned it with a packet of ranch mix! 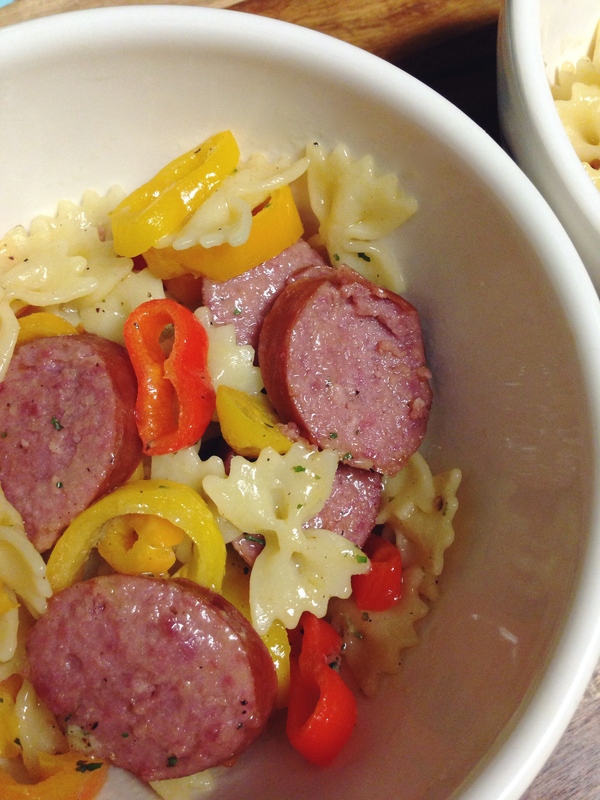 The ranch mix makes this pasta so flavorful without the addition of any heavy sauces. Do you have a favorite simple and fast dinner recipe? Feel free to share a link in the comment section below! 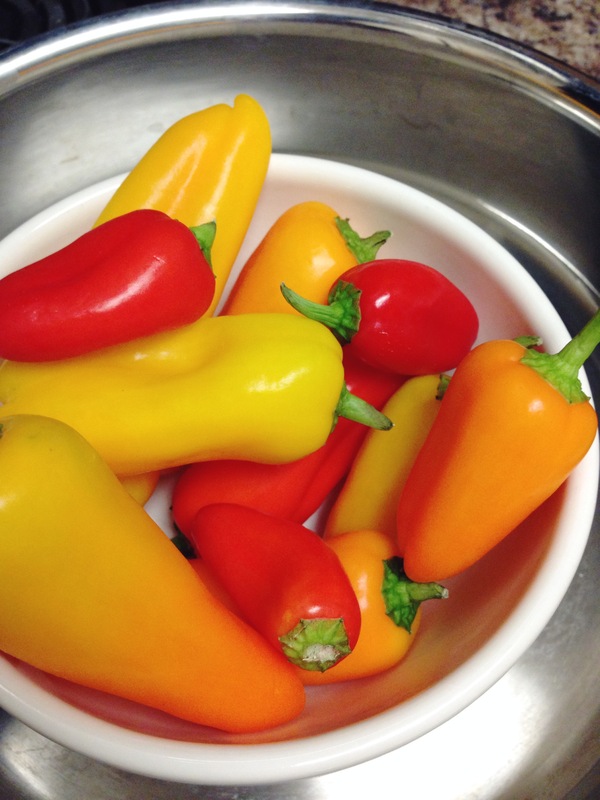 I love these mini peppers. They’re so sweet and perfect for snacking! They’re also easy to chop for a quick meal. Put pasta on to boil. 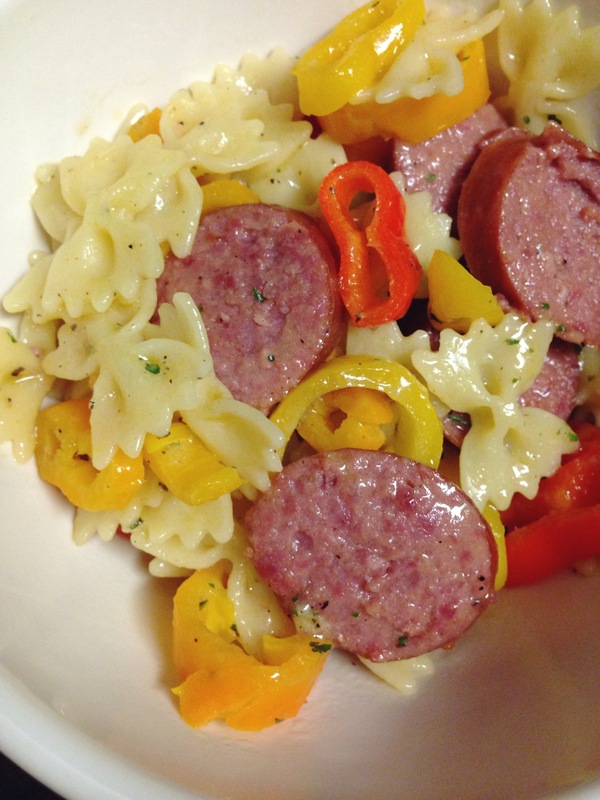 Slice peppers and sausage. 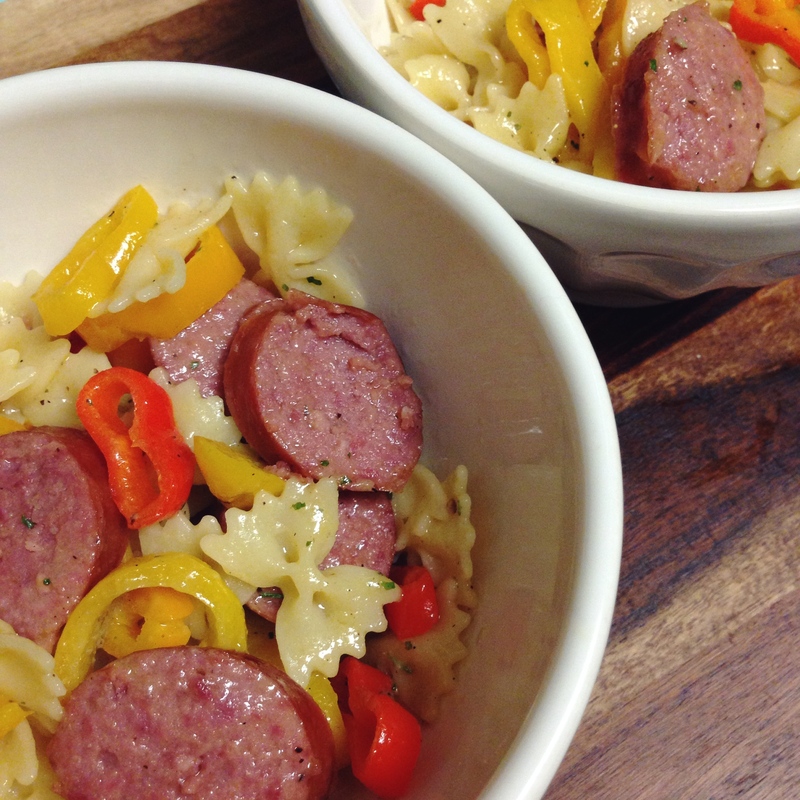 Place peppers and sausage into a skillet, drizzle with olive oil, and cook over medium/low heat for 5-10 minutes. 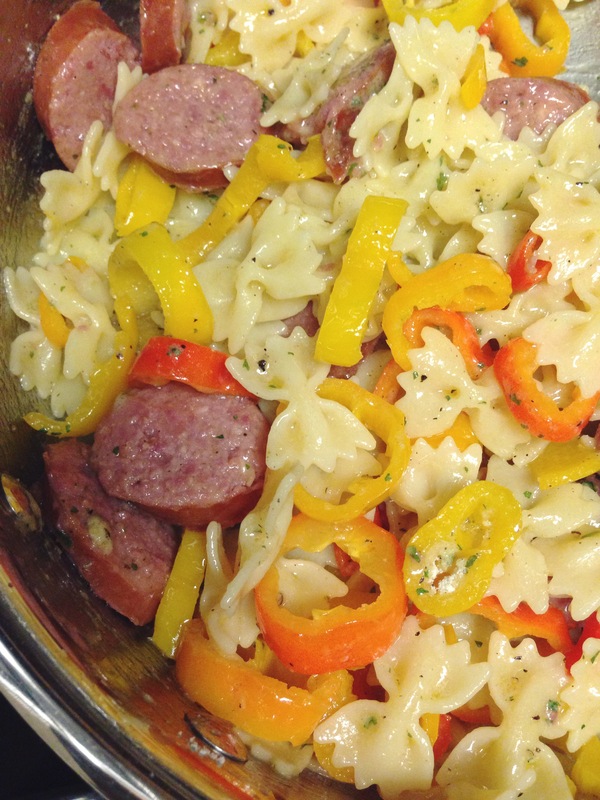 Once the peppers have softened, add drained pasta to the skillet along with ranch mix. Stir to coat pasta. Add a little more olive oil if pasta seems dry. The words ranch and pasta got be alone. Pinning this! Yes, two of my favorites! Thanks so much for pinning! This looks like a great dish. I can’t wait to give it a try. Wow what a delicious looking meal and the photos are awesome! This looks delicious! Have to make mine with gluten-free pasta, but it should work just fine!